And so we are huddled once again in the darkness of a moonless night! A sliver of new moon will be upon us – and whose energies will guide me from now until the moon is full once again? The Father of Cups from the Haindl, that’s who. This deck is very special to me. It was the first ‘fancy’ Tarot deck that I ever bought. It was also the first purchase that I ever made on ebay! I *know. * I’m a veritable FONT of spiritual insight. The image in the card depicts Odin, the Head Honcho god of the Norse pantheon. The suit of Cups represents the North and the Northern Gods. Interestingly, the Queen of Cups is The Willdendorf goddess, which I mentioned earlier this month, here. Odin was more than just the Leader of the Norse pack and a God of War, he is also closely associated with more ‘Cups’ orientated subjects such as poetry and magic. I’m hoping that it’s his Cups associations rather than his warlike tendancies that are coming to the fore for me! I usually think of the King of Cups as a slightly laughable figure – kind and diplomatic of course, but always slightly mystified as to where he’s left his car keys. A bit of a buffoon. Which is terribly unkind of me and probably says more about the influence of Wands and Swords on me than the poor Father of Cups! Yet here he is, taking me by the hand to guide me through to the full moon. So – until the full moon, I am prepared to go with the flow, to surrender (Hanged Man stylee) to the Father of Cups and Life Itself (which is totally unlike me). I will endeavour to be kind and considerate; to accept people at face value; to be diplomatic (let me tell you right now, your bum does NOT look big in that). And most importantly, now is the time for me to reach into my own underworld and emerge with knowledge and magic… slightly scary prospect! 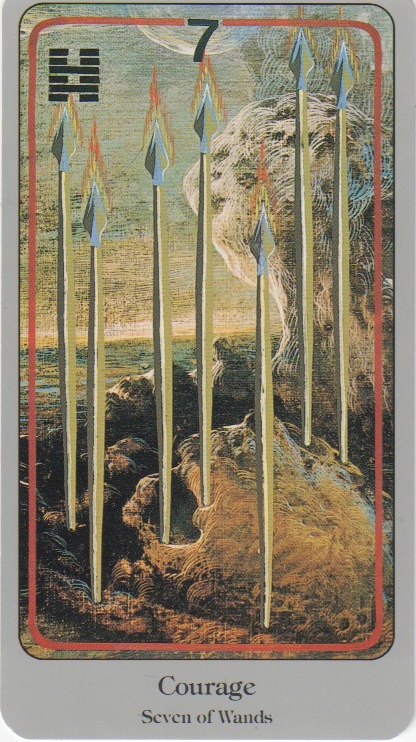 But if I am prepared to trust the King of Cups, this is the time to do it. I’ve taken to intermittent fasting (fast for 24 hours, twice a week) and have been considering a deeper fast with more spiritual endeavours…. What does the King of Cups mean in your life, right now? Reading your post and Carla's I came to a sudden epiphany. The reason I have such a hard time with the King of Cups is because my father was a King of Cups Rx! Somehow, I'd never realised that before. I guess, all this to say that perhaps it's time to get over some of my negativity, dig deep, and see the positives this archetype has to offer us. Oh how marvellous that you had a blast of epiphany!! Fingers crossed that you can embrace the King of Cups….I'm working on it! Love how you write about this king, though. Take care with the fasting, and good luck with things! 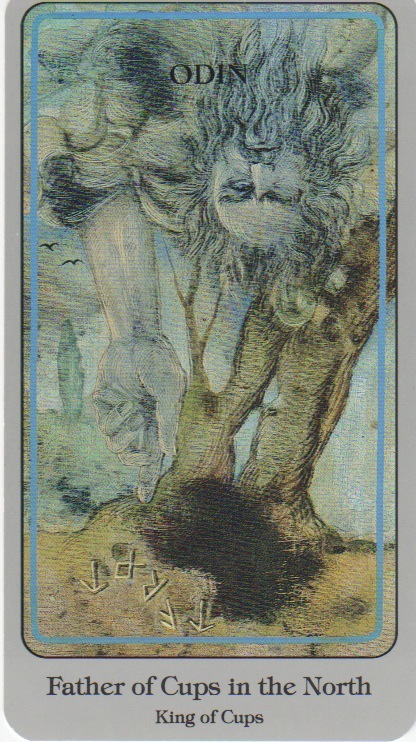 Ah, a deck I've always meant to explore but for some reason it's never come my way… I like this King of Cups though, especially the link to the Hanged Man (also associated with water). Thanks for this!